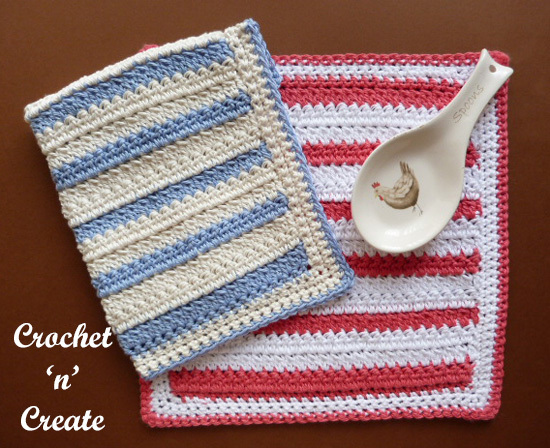 Kitchen Towel Holder Free Crochet Pattern – Solve the problem of untidy kitchen towels, this buttoned towel holder can be buttoned over a drawer or oven handle. This ring holder is easy to make and edged with crab stitch. 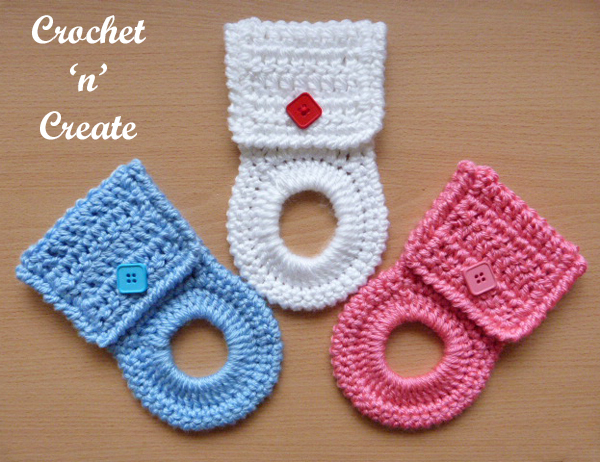 This entry was posted in crochet dishcloths, crochet for the home and tagged crochet, crochet dishcloth, crochet for home, crochet for Kitchen on 15th December 2018 by crochetncreate. A crochet two cluster dishcloth, you can never have to many of these, ideal for doing the dishes or wiping down the work surfaces. 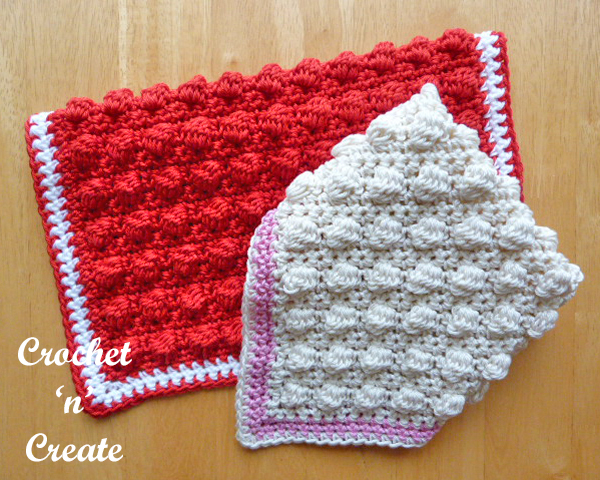 Make in a plain color or multi shades, I have crocheted in soft 100% cottonsoft Yarn. If you are just learning to crochet it is a good pattern to practice with. This entry was posted in crochet dishcloths and tagged crochet, crochet dishcloth, crochet for home, free crochet patterns on 12th December 2017 by crochetncreate. A soft cotton puff stitch dishcloth that some may think is too pretty to wash dishes with, so it can also be used as a washcloth the choice is yours. This entry was posted in crochet dishcloths, crochet for the kitchen, dishcloth, free crochet patterns and tagged crochet, crochet dishcloth, crochet for home, free crochet patterns on 10th October 2017 by crochetncreate. 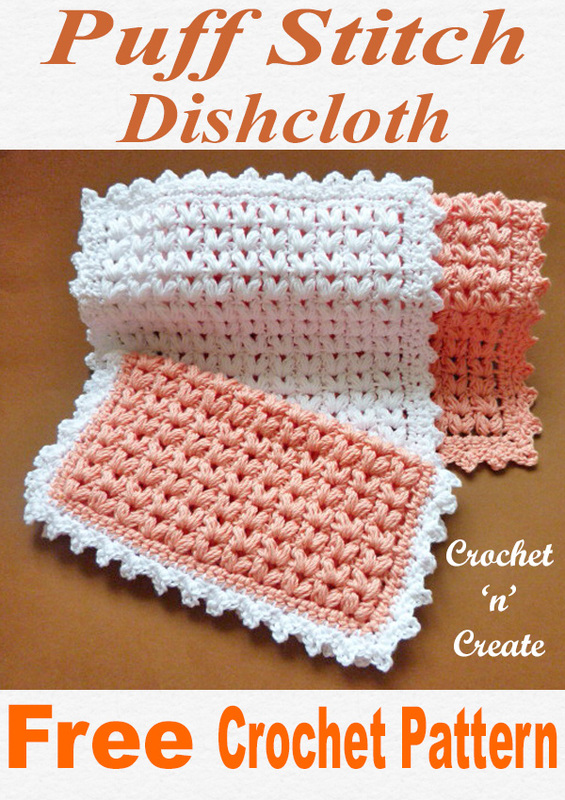 A free scrubby dishcloth pattern that is a cotton all purpose cloth, it’s smooth on one side for less abrasive cleaning and has bobbles on the other to shift the more stubborn stains on those pots, pans and dishes. They are perfect for a last minute gift, a new home present or just make some for yourself. This entry was posted in crochet dishcloths, crochet for the kitchen, dishcloth, free crochet patterns and tagged crochet, crochet dishcloth, crochet for home, crochet for Kitchen on 18th January 2017 by crochetncreate.